Here's a chance for your child to practice measuring objects. Cut out the ruler included in this printable and she's ready to measure each tower of blocks, practice writing numbers and work on her counting skills! Along with working on measurement skills she can also practice identifying different colors. 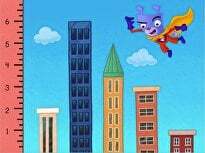 Comparison is one of the most crucial math skills second graders learn, because it can be applied to so many other disciplines across the elementary school curriculum. In this measurement and data lesson, kids will work on object comparison and graphing. 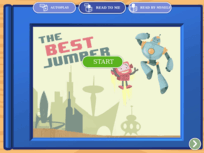 The exercises ask kids to list objects in size order, estimate length, note differences in length, and make bar graphs. 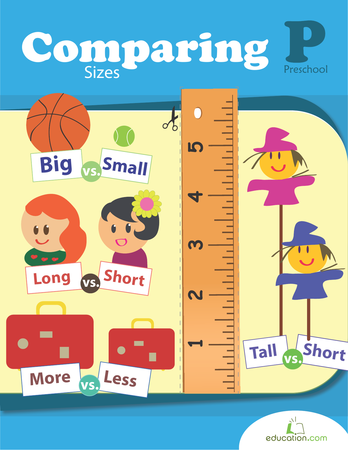 Comparison is one of the most crucial math skills second graders learn, because it can be applied to so many other disciplines across the elementary school curriculum. How Tall Are They: Candy! Which tower has more blocks? Help your child see that this tall task can be manageable when she counts each block one by one. Use the mini ruler to help you measure how tall each tree is. How can we make it taller? Practice measurement with your little artist. She'll draw a taller version of each item shown. 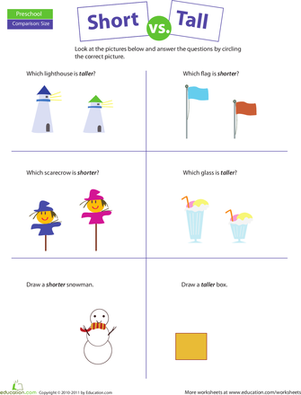 Young students are always interested in what is bigger or smaller, and in this interactive worksheet they determine what holds more. 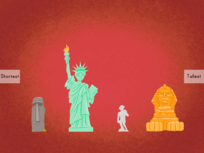 Determine whether or not your students know how to compare and use comparison language. Paper clip measurement is a fun and easy way to help kids learn how to measure length. Use this assessment to determine whether or not your students know how to compare and use comparison language.